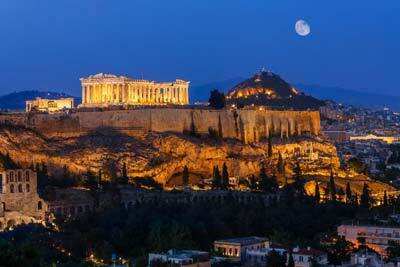 Google: Collaboration of Greek Ministry of Tourism, EOT and SETE to promote Greek tourism on the Internet. New initiative announced today to boost Greek tourism through the web from Google, in cooperation with the Greek Ministry of Tourism, EOT and SETE. This initiative “Grow Greek Tourism Online”, which aims to provide the tourism industry with the necessary digital skills and online tools that will enhance their development during and beyond the summer season. As stated in the announcement, although the online searches for vacation in Greece remain high during most of the year, an approximately 70% of tourist arrivals occur during the summer months, mainly between June and September. The opportunity for growth is important because according to a recent study by Oxford Economics, increased online activity of Greek tourism industry can increase Greece’s GDP by 3%, creating up to 100,000 new jobs. Through this initiative, companies will receive support from Google to use basic tools like Google My Business and Google AdWords in order to improve their presence in the search results and maps of Google, but to promote their offerings in periods outside the tourist season. Meanwhile, EOT and SETE will focus on increasing tourism demand for Greece during and beyond the basic tourist season, as part of their strategy to extend the tourist season. In addition, products such as Google Street View, which covers Greece from early June, helping to further enhance the beauty of Greece worldwide. 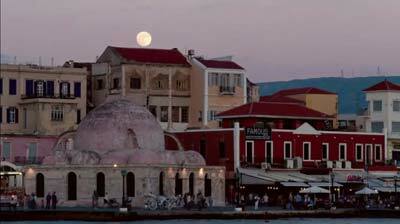 The initiative will be launched in Crete in September, with a view to extend to more tourist destinations in 2015 Google will organize events in Heraklion and Chania on 2 and 3 September, in order to help businesses to promote their Autumn Deals. All local businesses – directly or indirectly related to tourism – can subscribe to events at no charge through the website: https://events.withgoogle.com/ggto/. Through this initial energy, the initiative is expected to fetch more than 3000 companies from the tourism sector of Crete. To celebrate the initiative, Minister for Tourism, Olga Kefalogianni said: “The strategic aim of the Ministry of Tourism is the qualitative development of the national tourism product. Through initiatives but also through partnerships and synergies, the Ministry of Tourism, monitor developments in the international tourism market and competition and ranked utilizing the unique tourism resources of the country. creating flexible institutional framework for the development of appropriate market conditions, ensure the development of new high-quality services and highlights new destinations and services off-season. The Secretary General of ESO, Panos Leivadas said “The Internet is a peak of communication EOT driven gate www.visitgreece.gr. The regions, municipalities, businesses and those involved in the industry should take advantage of the Internet. Studies show that the use of the Internet may increase demand by 20% and GDP by 3%, and create up to 100,000 new jobs in the country.